The larva grew another 2mm in length in the past day. It's getting ready either to molt or pupate, depending on which instar it is; notice the tightly-stretched pale areas in the center of the abdomen. 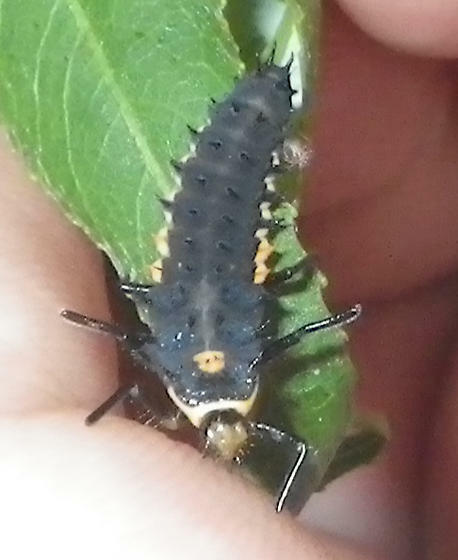 It's starting to move stiffly, and the abdomen tends to curve when it is at rest, so I think it may be preparing to pupate (which would make it a 4th instar). I'll know tomorrow!